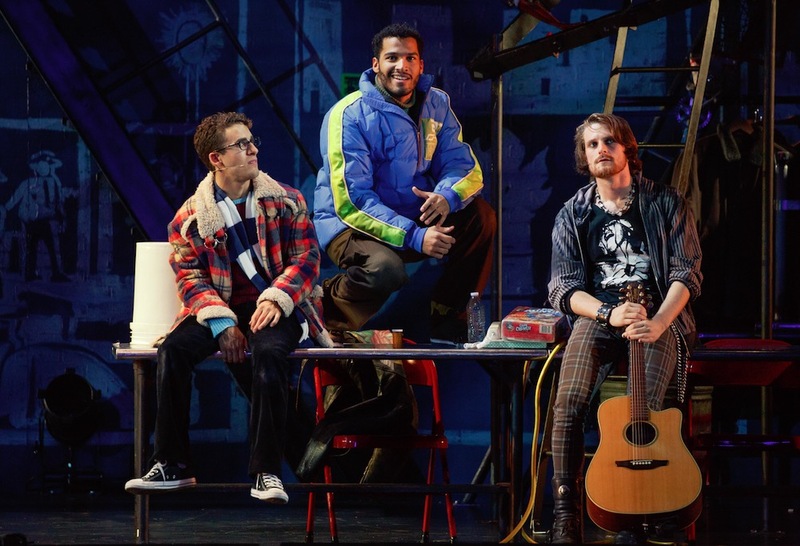 Owen Fitzpatrick returns with a new essay on social change inspired by Broadway’s “RENT,” playing at The Hanover Theatre for the Performing Arts April 5-8, 2018. 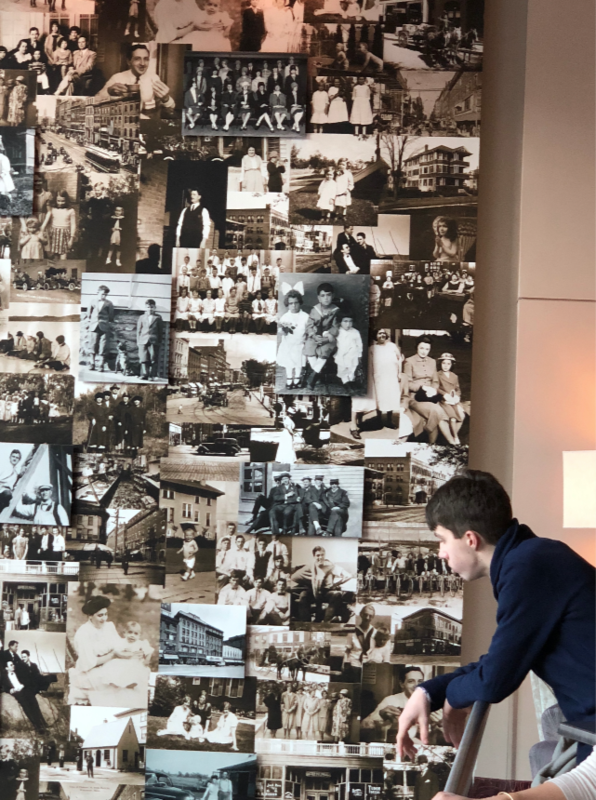 We’re proud to announce that Owen has won the Library of Congress essay contest for Massachusetts for the second year in a row! Congratulations Owen! Owen originally won for his letter to Mr. Dickens, which you can read on our blog here. What do “The Simpsons,” “The Office,” “Will and Grace,” “The Big Bang Theory,” “2 Broke Girls” and “Supernatural” all have in common? They’ve all referenced, quoted or talked about the musical “RENT.” It is still just as relevant today as it was 20 years ago when actors like Idina Menzel and Taye Diggs took the stage. It won the Pulitzer Prize for drama and four Tony Awards way back in 1996. Yet, “RENT” hasn’t aged because its lessons haven’t aged. “RENT” kept it real when cats were crawling around a stage and a Phantom hid behind a mask. 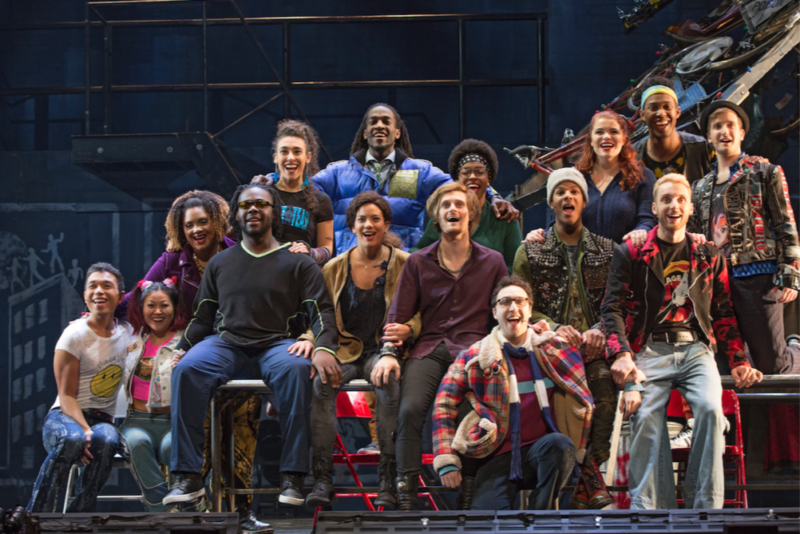 “RENT” is a harmonic exploration of poverty, health and social imbalance and injustice. In this groundbreaking rock musical, the characters remind us about the importance of living for the moment, even in the face of struggle. Its message of acceptance, compassion and, above all, love will always be relevant. The real question is what are we going to do about the issues and struggles that run through these characters’ lives when they are still part of our world today? What are the connections that separate us? Yes, you read that right. I’m talking about the ways we should be connecting with each other, but we can’t. In the 1990s, living in the moment meant you stopped dwelling on the past and stopped fearing the future. Today it means you put your phone down. To really connect with a show, you have to buy into the characters and how they are feeling. The characters in “RENT” are a study in human interaction and connection. True friends stay together when everything else is torn away or lives are ending. “RENT” shows us that bonds can be formed from any type of connection, suffering from an awful disease, chasing an impossible dream or facing the consequences of our own decisions, all within the context of drug abuse, AIDS, racism, suicide, poverty, gender inequality and discrimination. Major stuff. So what do we do now? That’s the 525,600-dollar question. How do we change so that in 20 years these issues are on museum walls rather than in the news? With many, if not all, of these social, political and economic issues in “RENT” still clouding our nation, we have to light our own candles. Look at what we’ve seen kids do today. Kids should see a musical like “RENT.” As kids, we need to know what the issues are so that we can take part in the discussions of how to solve them. Silence is evil’s enduring ally. Inaction is its nasty cousin. Recently, we’ve seen kids have the courage and commitment to voice the need for change. We’ve seen online newsletters applaud these teen movement-starters advocating for gun control and the keyboard cowards punching the letters, once again, bitterly slamming someone else’s brave son or daughter. Kids, teens and young adults have the energy and vigor to push a national agenda. Kids don’t give up. For kids like me, “RENT” offers a glimpse into a history that is unfamiliar, but also dark, ugly, scary and sad. “RENT” keeps it real. Just yesterday, our neighbor cupped her hand over her mouth and leaned into my mom asking, “are you sure you want to bring the kids to that show?” Her answer was “definitely.” I’m looking forward to seeing “RENT” in its 20th Anniversary Tour at The Hanover Theatre. If kids aren’t aware, the world won’t change. This entry was posted in Broadway Series, Features, Parent & Education Guides, Student Perspectives. Bookmark the permalink.